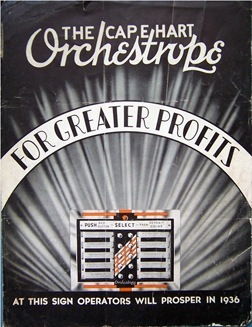 The Orchestrope was the first model of phonograph offered by Capehart. Although a home model was offered, it was intended primarily for public installations, usually with a coin slot. 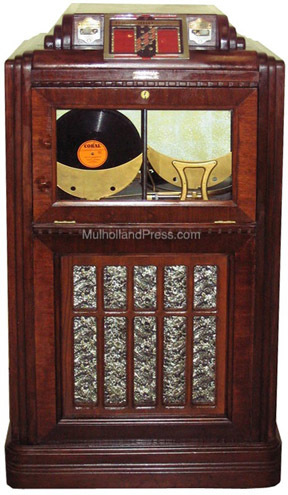 The record changer did play both sides of a record, but only played the second side once the first side of every other record in the stack had been played. 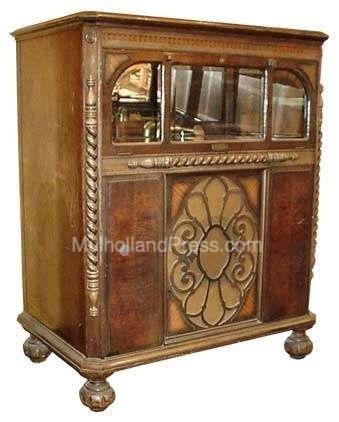 A large number of these Orchestrope jukeboxes were sold, and their success led to the development of the more well known models. Here is a very detailed look at the Capehart Orchestrope in operation. This wonderful video was produced by Bob Barnett.